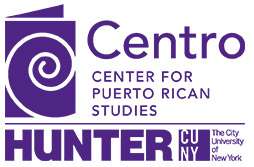 In light of the devastation caused by Hurricane Maria to Puerto Rico and the ongoing rebuilding efforts, Centro, Cenadores Puerto Rico (PR), the National Conference of Puerto Rican Women (NACOPRW) – DC Chapter, UDC Latino/a Law Students Association, 100 Days for Puerto Rico, Friends of Puerto Rico, and the National Puerto Rican Agenda will host a one-day summit to discuss policy issues and the articulation of community responses to Puerto Rico's economic and humanitarian crisis from the perspective of Puerto Ricans in the Washington, D.C. area and other stakeholders. Puerto Rico, Puerto Ricans is a series of search conferences designed to balance topics related to the economic, fiscal and unfolding humanitarian crisis in Puerto Rico and to engage the community in a thorough discussion of the impacts of the crisis on stateside Puerto Ricans. Top scholars and leaders come together to explore solutions to the critical problems facing our people. ¡Los de aquí y los de allá! Connect with fellow Washington, D.C. area Boricuas to share ideas for a diaspora response to the crisis.